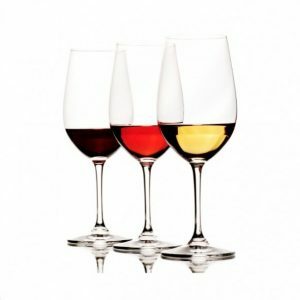 Why select wine based on the sauce? The sauce that accompanies your meal may be the most important aspect of the meal. The wrong sauce can ruin a main course. Even Oliver knew that food, glorious food required a pairing of hot sausage with mustard, and cold jelly with custard. I suspect that you, or one of your dining companions, has spent several moments deciding between the choice of pepper, mushroom, or blue cheese sauce when ordering a steak. Why not select your wine to pair with the sauce, instead of the meat? That way you get all three components working in harmony. Green sauces? We’re talking about sauces such as mint, chimichurri, and garlic and rosemary. With these sauces, pair with a bolder red with hints of fruits. A Malbec or Monastrell is perfect. However, for dishes with higher garlic or onion tastes, consider a medium red with more acidity – perhaps a Côtes du Rhône. No, I don’t mean HP sauce or Daddy’s. They would come under tangy sauces! Brown sauces include red wine sauce, Bordelaise, and poutine. For these, some of the earthy reds from North Italy or, once more, a Bordeaux will complement the dish served. Tomato-based sauces such as Espagnole and Marinara pair exceptionally well with medium-bodied reds. The two acidity levels (the wine and the tomato) work well together. Which wines should you select? Merlot, Tempranillo, Cabernet Franc, and Bardolino are favourites. The tanginess is often created by the fruit, so pair with a fruity red. A Lambrusco, Shiraz, or Zinfandel, perhaps. And here’s anther tip: a sparkling Rose Cava works superbly with all tangy sauces, but especially spicier beef dishes.